Since the first large protest erupted in Mashad, Iran more than a week ago it is safe to say that it is unlikely this fire will die soon. The fire of the protests, which was lit by ongoing economic hardship, has quickly spread throughout the entire country. 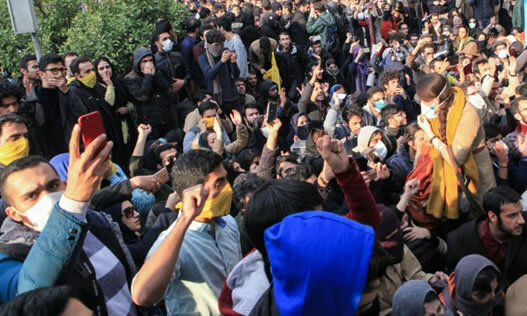 The revolt however has not come as a surprise as many claim, but is a result of a flame lingering and burning for quite some time in the peripheries of Iran. If we want to understand this uprising, all eyes should be on civil society in the provinces and the margins. In much of the reporting in Western media we can read about the shock going through the political center of Tehran. Both the more moderate camp of President Hassan Rouhani as well as the hardliners under supreme leader, Ali Khamenei would not have seen this revolt coming. A coordinated, univocal approach to regain control has not occurred as of yet and the increased aggression by security forces has thus far been little successful. 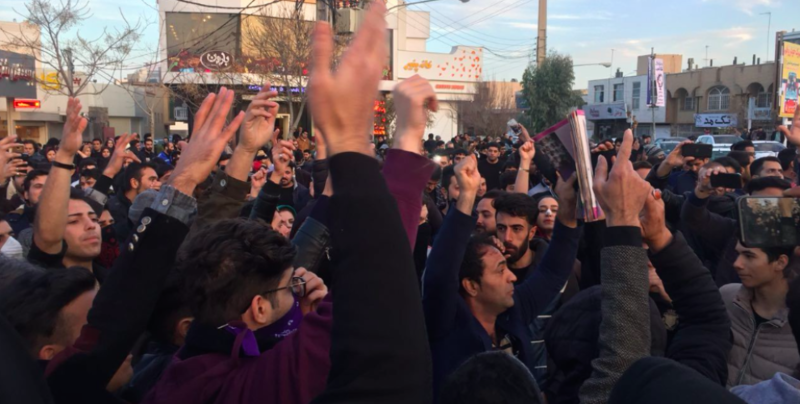 Our correspondents dispersed throughout Iran, including the provinces and rural areas, have long time signaled a growing movement under the working class that we can now label as a premonition of the current protests. For years Zamaneh Media has monitored the situation in the peripheries, the smaller provincial cities spread throughout the country, where the population has lived in economic hardship for a very long time. In addition to the deprivation caused by international sanctions and disappointing results of the nuclear deal, they feel the effects of discrimination and lack of labor rights. These are places where the lower middle class works, if they find employment, under extremely limited or no protection at all –including the fact that many work under the officially prohibited “blank contracts.” These are contract that are widely used and tolerated, a phenomenon where employers do not provide any information in the contracts such as salaries or working hours and thus can apply changes at any time. It is therefore not uncommon for workers in diverse fields and guilds, to not receive any payment for months on end. The election campaign promise by Hassan Rouhani in which he advocated for more freedom of organized labor unions has not substantiated. In his campaign he also pled for extending the “free economic zones” in Iran. These are areas in which labor rights are not enforced. These zones should attract international companies, but are extremely damaging to marginalized communities that are already suffering from economic hardships. The legal labor unions that do exist in these zones are under the control of the government and dictate the state agenda, while they solely benefit the interests of the elite. It were the voices from the peripheries that lit the fire of today’s protests – the voices that were not heard until Thursday 28 December.